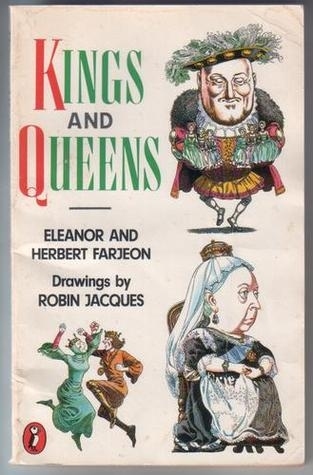 First published in 1952, Herbert and Eleanor Farjeon's Kings and Queens has attained the status of a children's classic. The charming poems, each one dedicated to a different king or queen, tell the story of the 41 English monarchs from William I to Elizabeth II in a humorous and charming way that has delighted generations of children and their parents. The readings also include a selection from Heroes and Heroines by the same authors, including Alexander the Great, Julius Cesar, Robin Hood, Christopher Columbus, Sir Francis Drake, George Washington, Napoleon, Florence Nightingale and Buffalo Bill, among others. Read by Isla Blair and Julian Glover. About Herbert Farjeon (Author) : Herbert Farjeon is a published author of children's books. 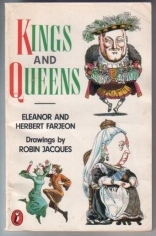 Published credits of Herbert Farjeon include Kings and Queens.